Even though our summer migrants are long gone, and the days are drawing in, I think the first real sign that winter is on the way is the sight, and sound, of winter thrushes. Fieldfares are the northern equivalent of Mistle Thrushes – of similar size and posture, and with the same white underwing coverts – but far more striking in overall appearance, with a dark eye patch, grey head and rump, chestnut mantle, and handsome stripes and streaks on a deep orange breast. Fieldfares are absent from the UK during the breeding season, apart from a handful of pairs that breed in Scotland, but flood into the country in autumn – the BirdTrack reporting-rate graphs show numbers rising very sharply from zero in early September to a peak in early October. Fieldfares are social birds, and, unusually among thrushes, they often nest in loose colonies. The groups are fierce in defence of their nest sites, and have been known to bombard would-be nest predators with their faeces. In winter, they are no less gregarious, and are almost always found in flocks, often associating with Redwings. These flocks are highly nomadic, and analysis of records submitted to the 1986 Atlas of Wintering Birds showed that the distribution of Fieldfares was related to weather conditions – in the cold winter of 1981/82 there was a noticeable shift of the Fieldfare population to the south of Britain, and in all three winters a comparison of the early-winter and the late-winter maps showed a southward movement during the course of the winter. 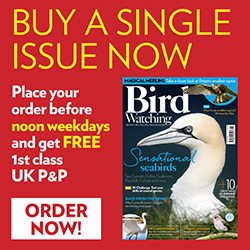 Birds ringed in the UK have been recovered as far afield as Portugal and the Balkans in subsequent winters, highlighting the transient behaviour of the wintering population. It is this transience that makes a census of winter bird populations such a tricky affair. In the breeding season, birds are tied to a nest site for the duration of the season, and are often evenly spread out throughout their breeding range, so they are relatively straightforward to monitor by standardised surveys such as the Breeding Bird Survey. In the winter, results are harder to interpret, which is why detailed information collected during this forthcoming winter, the last winter of fieldwork for the 2007-11 Bird Atlas, will be so important. We often think of Fieldfares as being birds of the open countryside, and, unsurprisingly, their name means ‘the traveller through the fields’ in Anglo Saxon (talking of names, their Latin name, Turdus pilaris, rather strangely translates as ‘the hairy thrush’, apparently due to a misreading of the Greek trikhas, meaning thrush, for trikhos, meaning hair!). During hard weather, they are unable to access the soil-dwelling invertebrates on which they normally feed, and move in to orchards, where they have been known to congregate in huge numbers, and into gardens, where they feed on windfall fruit and berries. 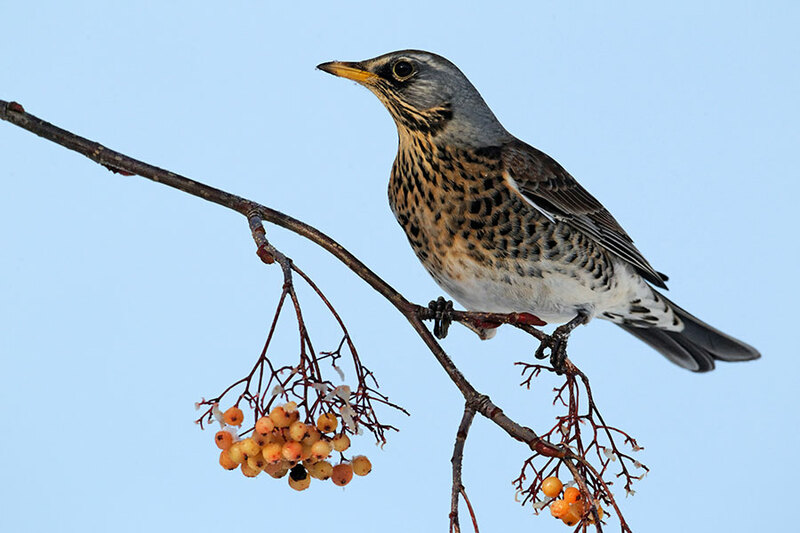 They are even recorded by the BTO’s Garden BirdWatch – during the cold winter of 2009/10, Fieldfares were recorded in nearly a third of the 14,000 Garden BirdWatch gardens, a three-fold increase on the normal numbers. I must confess to being very envious of people with gardens rich enough to attract Fieldfares – but I will be content to go out and find them for myself, in a wintry farmland landscape. After all, if all the birds came to me, where would be the incentive to go and do my winter Atlas surveys?